Home > We are the leading Malaysian cruising yachts to megayachts independent maritime support services agency in Malaysia. We nature relantionships with our clients and understand to anticipate thier needs and special requests. 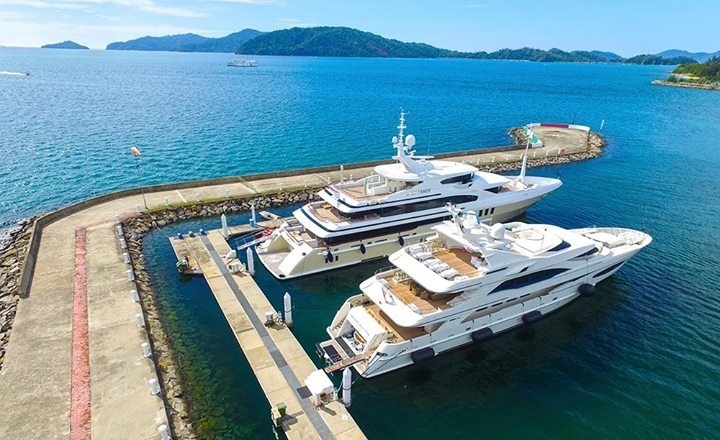 Our reputationin providing the highest level of maritime agency support services for cruising yachts to megayachts for all ports location in Malaysia with specialize Malaysian touch is unrivaled. We are fully crewed and operated by Malaysian from professional maritime and ex-military background equipped with strong precise command on local knowledges and experiences delivering to our clients at personal touch level and make complicated request happened to visiting cruising yachts and megayachts in the fields of cruising destinations itinerary planning & vessel permits assistance, vessel arrival/departure formalities procedures, marina berthing, duty free bunkering, legal assistance, tactical equipment's storage & temporary importation, maritime security consultancy & advisory, logistics support for shipping & duty free ship store importation, top-quality provisioning assistance, engineering & shipyard projects planning & managements. We are here to serve you and deliver the best maritme support services for your vessel next cruising adventure journeys throughtout Malaysia. Copyright ©2017 MALAYSIA YACHT SUPPORT SERVICES, All Rights Reserved.